Year over year, more customers are using mobile apps to shop online. During the 2016 holiday season, mobile commerce accounted for 21% of online sales in the US. People want the convenience of doing things while on the go. Online sellers also want the freedom and flexibility that mobile apps provide. Freedom to work on-the-go, without being confined to the office. We’ve made a list of the 17 mobile apps in 2017 you should download to be more productive. Check them out below! It’s time to get ship done even when you’re away from the desk. ShipStation Mobile allows you to import & manage orders from multiple selling channels, create & print shipping labels wirelessly, view insights & analytics, generate EOD forms, create return labels, track shipments, send tracking emails and more. Plus, you can create mobile-friendly branded tracking pages and returns portals for your customers. You’ll want to have a ShipStation account to use the app. You can download the ShipStation Mobile app for iOS (iPhone, iPad, iPod, Apple Watch) or Android. Shopify gives you the power to sell online no matter your business model. Their app lets you run your business wherever you are. As a Shopify merchant, you can manage your orders, stay up to date on sales and visitor traffic, add new products update inventory levels and more right from your phone. You can download the Shopify mobile app for iOS or Android. If you sell with Big Cartel, you can take your shop with you anywhere you go. Manage products, upload photos, search and fulfill orders, print packing slips and accept in-person orders via cash, credit card or Apple Pay from your iPhone or iPad. You can download Big Cartel for iOS for iPhone, iPad or iPod Touch. If you want to sell on social media platforms like Instagram, Facebook, Twitter, or Pinterest, Spreesy makes it easy to manage your account from your mobile device. Create and manage products, manage and fulfill orders, view analytics and much more when you’re on the go. You can download the Spreesy mobile app for iOS or Android. Arguably one of the most elegant and intuitive website platforms out there, Squarespace also boasts six mobile apps to stay productive with a busy schedule. 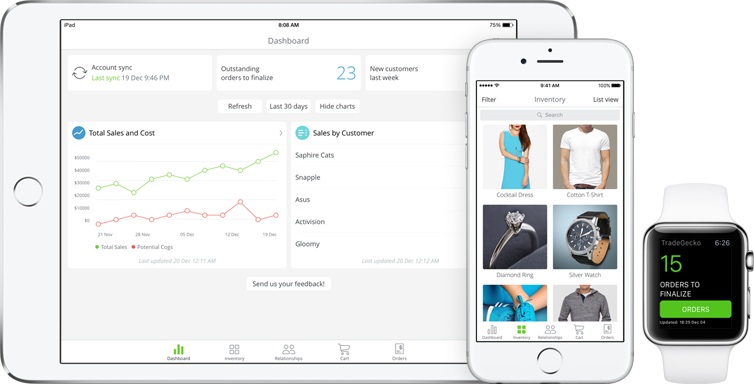 Their mobile app for eCommerce lets you run your store on-the-go: fulfill orders, manage product inventory, and resolve issues from your iPhone. You can download the Squarespace Commerce App for iOS. Volusion offers everything you need to open a successful eCommerce store. With their mobile app, you can add & edit products, manage orders, update stock levels, get inventory notifications, track your store’s performance on an improved dashboard and much more. You can download the Volusion mobile app for iOS or Android. With Square, you can start selling fast whether you need a point of sale with you wherever you go, or retail solutions for a more complex business. With the point of sale app, you can accept payment, generate receipts, manage inventory in real-time, get sales reports & analytics, and more. You can download Square Point of Sale for iOS or Android. With WooCommerce, you’ll get the most customizable eCommerce platform for building your online business. With the mobile app, your store is in your pocket. Access a data-centric dashboard, navigate your full product catalog, view your orders, and easily connect multiple stores. You can download WooCommerce iOS for your iPhone. If you want to send great emails, MailChimp makes it seem flawless. 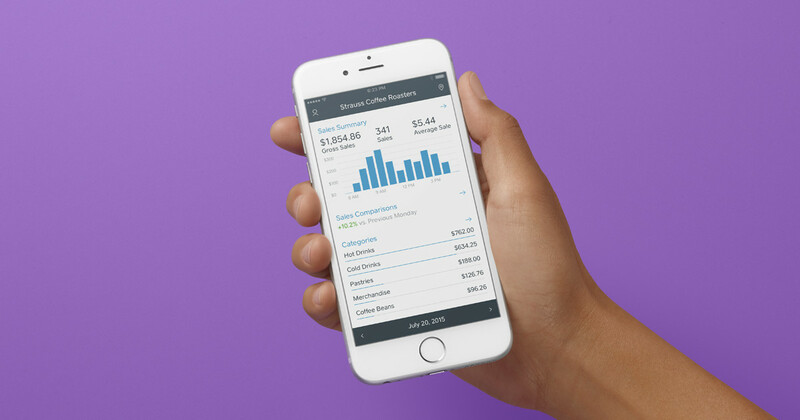 On their mobile app you can preview + edit + send campaigns, keep track of your eCommerce revenue reports, monitor your audience growth, and get access to all of your campaign stats all at your fingertips. You can download the MailChimp mobile app for iOS and Android. Get all of your inventory, orders, and customers into one place with TradeGecko. With their mobile app, you can manage your products, customers, and orders from anywhere. It’s the perfect companion to TradeGecko. Manage your product catalog, create and manage orders, capture new leads with their CRM, scan barcodes, and even access offline. You can download the TradeGecko inventory management app for iOS on your iPhone, iPad or Apple Watch. For simple accounting software, Quickbooks Online saves you time and is easy to use. You can run your business on the go with their mobile app to send professional invoices, capture receipts, and keep tabs on your business from your smartphone. You can download the Quickbooks Online mobile app for iOS (iPhone/iPad) or Android (phone/tablet). You can make it easy to get paid fast and securely with PayPal. 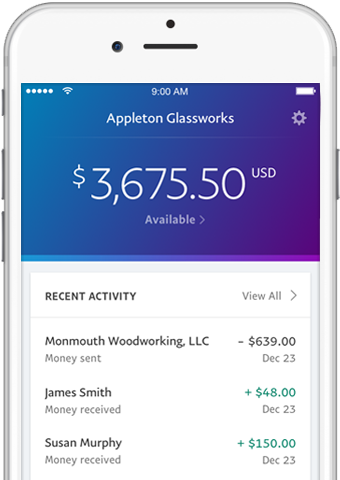 Their mobile app makes it easy to stay on top of your account activity, send invoices and view customer information wherever business takes you. You can download the PayPal Business mobile app for iOS or Android. If you’re looking to start selling or go multi-channel, Amazon is a great place to start. Their mobile app makes it easier to sell online: identify new selling opportunities, create and manage listings, and respond to customer questions. 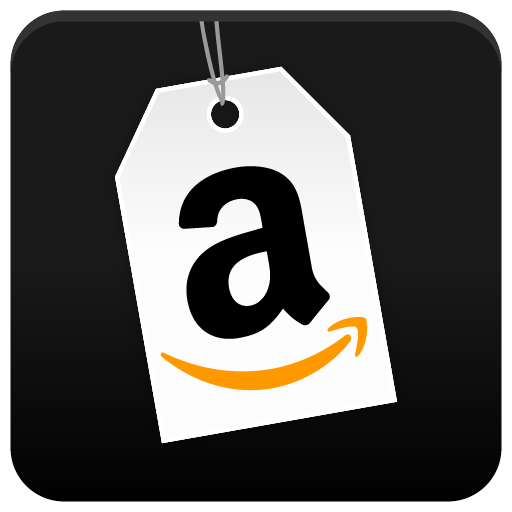 You can download the Amazon Seller App for iOS or Android. It’s easy to list your new or used items to a huge audience with eBay. Their mobile app gives you the ability to take photos, list your items and get paid. You can download the eBay app for iPhone or Android. If you’re creative and looking to sell online, Etsy might be a great fit. You can run your shop straight from your mobile device; process orders, add listings, view your shop stats and sell in-person with a tap. It can also let you know when people make purchases, send Convos, favorite your shop and more. You can download the Sell on Etsy App for iOS or Android. A fast way to sell your products to millions of online customers daily is on Wish. The mobile app gives you access to store metrics, get real-time notifications and see system updates immediately as they happen. You can download the Wish For Merchants mobile app for Android. If you sell tech, automotive, software, electronics, gaming, computers, and tools, Newegg might be a great place to sell. Their mobile app gives you access to the seller dashboard, customer orders, customer returns, item list, and the latest payment reports. You can download the Newegg Seller mobile app for iOS or Android. Great article! I love the fact that you have included all the necessary detail and provided the links too, +1 for that.